Under Jeremy Corbyn, the Labour Party’s goal is to create nothing less than a twenty-first century democratic socialism. When Mio Tastas Viktorsson and I argued that the Left should revisit the Meidner Plan last year, we could have hardly expected that a strikingly similar policy would be adopted by British shadow chancellor John McDonnell and the Labour Party at this year’s conference. The Inclusive Ownership Funds (IOF) proposal — drawing its name and much of its inspiration from a recent report by researchers Matthew Lawrence, Andrew Pendleton, and Sara Mahmoud of the New Economics Foundation — calls for transferring 10 percent of the equity in all British firms with over 250 employees into worker-owned and -controlled funds over the next ten years. The funds would pay out annual dividends up to £500 and retain the remainder as a “social dividend” to buttress public services and reduce inequality. The proposal, while different in some important respects, is clearly inspired by the Meidner Plan. Yet it shouldn’t be viewed exclusively through the lens of 1970s Sweden, but instead as a key pillar of a growing edifice of radical economic policies designed to shift power, ownership, and control to working-class people. Labour is hoping to push toward socialism not with a single policy, but rather with a broad-based strategy that makes progress on multiple fronts. In a recent journal article, Joe Guinan and Martin O’Neill argue that the British labor movement has taken an “institutional turn” over the last year or so. 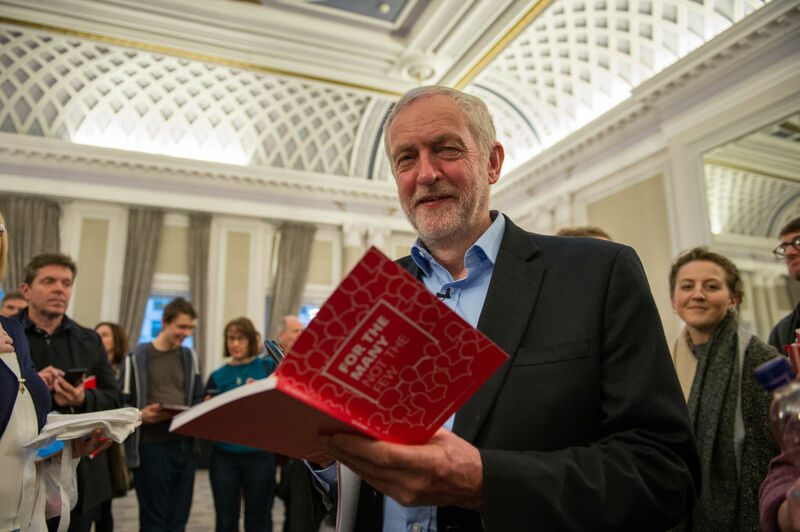 Labour’s new agenda, they note, is animated by a commitment to democratizing the economy by creating powerful institutions that extend ownership and control over capital to workers and the wider public — while at the same time attacking the power of finance and extractive capitalism. Some of the more thoughtful minds in the British mainstream press have also noted this phenomenon, including the New Statesman (“Corbynism 2.0”) and the Economist (“Corbynomics”). Some of this agenda is very old. The party proposes, for instance, establishing sectoral collective bargaining and reviving the right to secondary strikes. Restoring the power of organized labor is central to any left program worth the name — without strong unions, workers are passive participants in much of their economic life, and public policy reforms inevitably take on a more top-down and paternalistic character when institutions that facilitate workers’ collective agency are disempowered. The recent party conference deepened this commitment to popular organization, pledging £20 million to start up tenant unions around the country. This entry was posted on Wednesday, November 28th, 2018 at 00:03	and is filed under Uncategorized. You can follow any responses to this entry through the RSS 2.0 feed. Both comments and pings are currently closed.